Visual Language class at Pratt. Project on communication and the difficulty on communicating between two of my friends who speak different languages (but are now able to communicate). 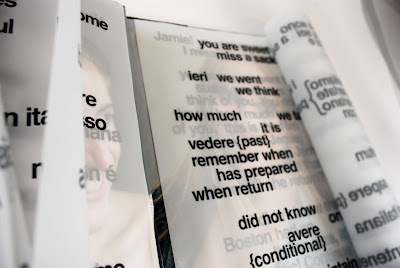 When you open the book, you are faced with two black pages with text in Italian and English phonetic symbols. The objective is to emulate the experience when listening to a language you don't understand: you read it as sound over meaning... you can pick out words here and there, but mostly it looks/sounds like gibberish. 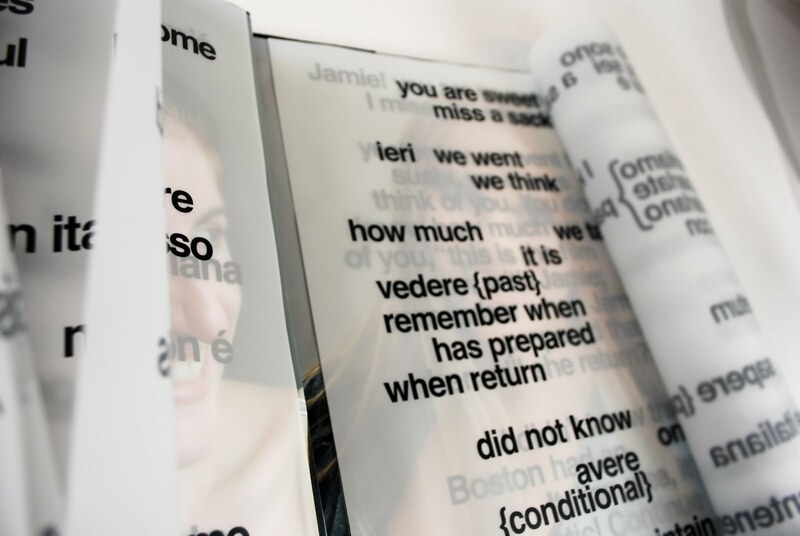 as you flip through the pages on both sides the texture of words showing the translation process becomes thinner and eventually, when the language is mastered, the two speakers can see each other.